As the premier grand format printer in the Southeast, GCI Graphics has extensive experience and a wide scope of capabilities to meet all your digital printing needs. We’re strategically located in Atlanta, GA to serve clients across the U.S. with high-quality solutions for retail and point of purchase advertising, marketing tours, live events, architectural signage, trade shows, museums and more. 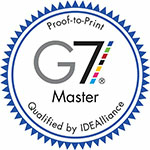 That means you can rely on GCI Graphics to deliver the right digital print solutions for your projects! And by integrating our expert grand format print capabilities into the Exploring, Inc. family of companies, we can now bring you an expanded and truly unique range of world-class custom fabrication, 3D elements, innovative flooring solutions, and expert waterjet cutting services -- all at significant cost savings. Visit our project gallery for more ideas about how GCI Graphics can provide the solutions you need!